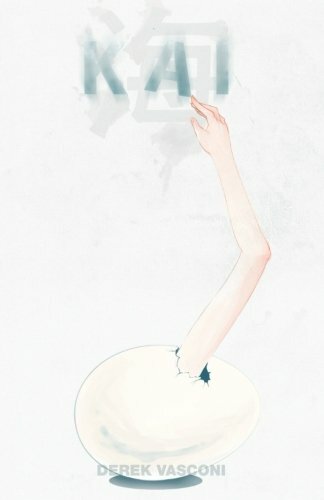 As a fan of Dean Koontz, and Stephen King since my early teens, I was happy to review “Kai” by Derek Vasconi, which I found to be a unique Japanese horror novel, as its complex storyline adds to the uniqueness of its genre. The story follows two young women. Satsuki is a high school teen-aged girl in Hiroshima, Japan, who is waiting for her mother to deliver her new baby sister. Seul Bi is a 22-year-old Korean woman who had been adopted by Americans that died tragically, leaving her an orphan once again. Seul Bi, raised as a teenager by her aunt, now lived by herself in Evanston, Illinois, working in a private mental hospital for adolescents with behavioral disorders, a hospital founded by her Northwestern University Academic advisor, Dr. Daniel Nathan. Both girls live tormented, separate lives on opposite sides of the world, yet they were somehow connected. Is Satsuki bottling up her anger as she locks herself away from the world? Why is tragedy following Seul Bi? Is she just destined to suffer? It all comes clear as nightmares develop into reality! Vasconi produced an ambitious first horror novel, and did an awesome job. “Kai’s” complex storyline and multifaceted characters blend with Japanese culture in a well-written psychological thriller. The author’s setting and action descriptions are impeccable. Although the story is slow in the beginning as the readers are acquainted with the main characters, it did help the fact that the author presents each main character in their own lives in separate chapters. In other words, the reader will have alternate visits into each parallel life. Overall, I truly enjoyed “Kai” by Derek Vasconi as an intriguing psychological horror, which felt like it should have niche of its own! I recommend it as a great 4.5-Star must read to all horror fans, as well as psychological thriller lovers. A few scenes are disturbing and will linger in the readers’ minds even after putting the book down–if they even manage to put it down! I look forward to seeing what Derek Vasconi comes up with next.